I travel regularly and I sometimes pack my suitcase and sometimes my backpack. Both have their own advantages and there are pros and cons with both options. I have longish distances when I’m going to have to carry my luggage. When I pack for travelling with a backpack, I pack everything in smaller pack bags to have inside the backpack. So I have one bag for socks, one for sleeping clothes, one for underwear, one for charging cables etc. You get the idea. 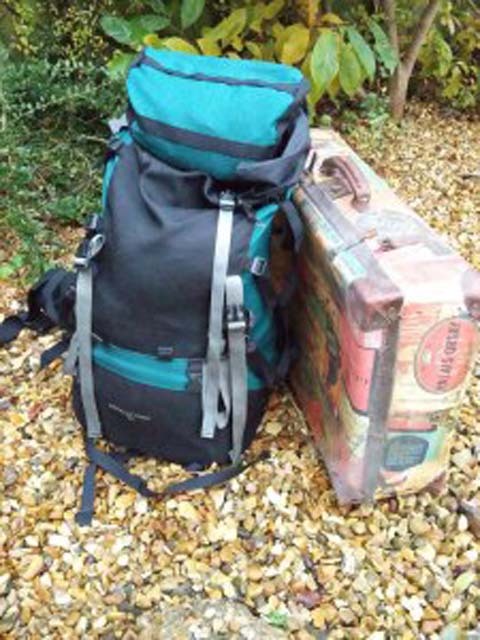 Backpack or suitcase – which should you bring? Photo: Nature Travels. Then, if I need something at the bottom of the pack, I only need to take out the bags, not each individual item. It also makes it simpler to find things within the bag if you have different coloured bags. You’ll soon learn that the black bag has socks, the blue bag has sleeping clothes etc. 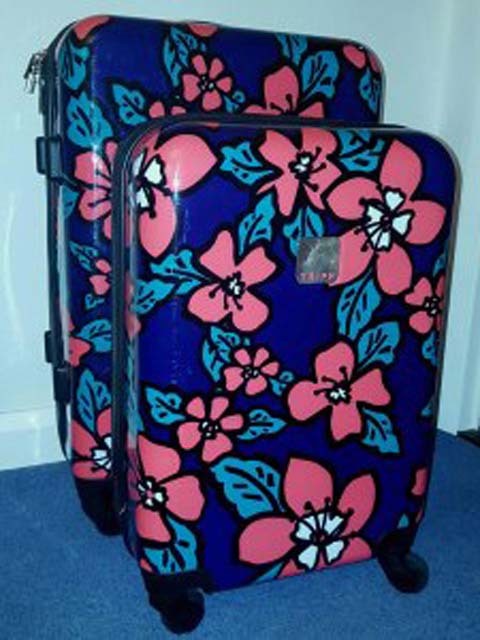 Suitcases often come in prettier colours and designs than rucksacks! Photo: Nature Travels. I don’t need to carry my luggage any distance. I’m staying indoors on all nights. I need to bring things like computers, nicer clothes etc. The good thing with a suitcase is that you can pack things flat – so you can bring clothes that are ironed and they still look OK when you get there. In a suitcase you can also have the clothes folded in nice piles and keep them in there for the whole journey. You can use the suitcase as a “clothes drawer” with your clothes neatly folded inside. 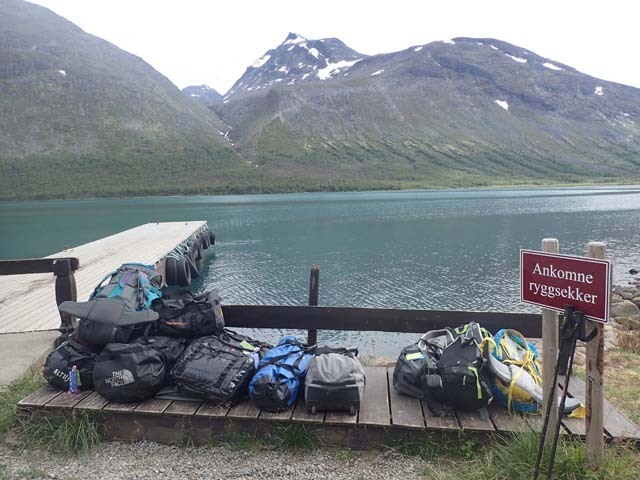 Luggage transfer between cabins on one of our hiking tours in Norway. Photo: Nature Travels. You also have a better overview of everything inside your bag once opened. You can easily access everything within the suitcase without having to taking everything else out. 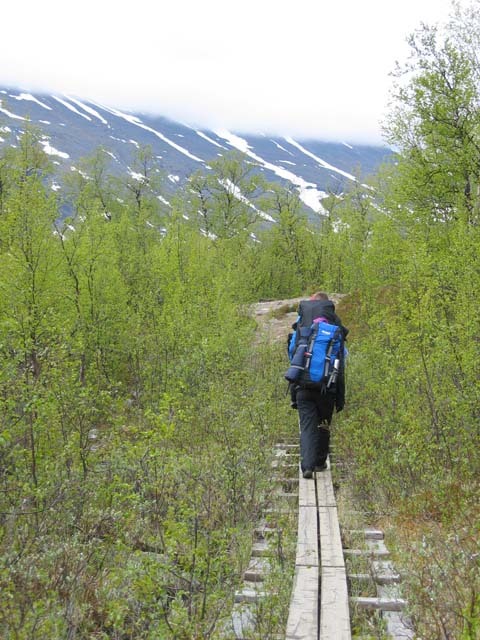 You can’t take a suitcase on a hiking tour in the mountains! Photo: Nature Travels. As I said, there are pros and cons with both options. I do sometimes combine both types of luggage. For example, I’ll bring a backpack as my main luggage and a smaller rolling suitcase as my hand luggage. This is useful if I’m travelling on a business trip and I’m going to be outdoors a lot, but I’ll also need my computer and some nice clothes for dinner occasions. However, this requires me to be able to store my rolling bag somewhere if I go for a longer hike or dogsled tour, etc. You’ll want a good backpack with hip belt for an extended hiking tour. Photo: Nature Travels. If on the other hand I’m mostly staying indoors, I choose a rolling suitcase as my main luggage and a smaller backpack as hand luggage. 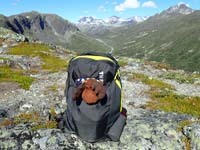 I can then leave the main luggage in my room and use the smaller backpack for day activities in the outdoors. There’s also a third choice! I admit at the moment I often travel with a rolling duffel bag that also has backpack straps on and can be can be carried as a backpack. It gives me some of the benefits from both options! (I use a Berghaus Mule – you can see our review article here). 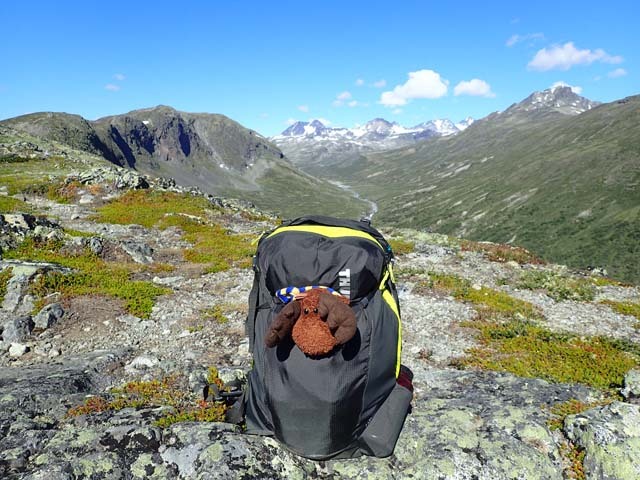 But when it comes to spending time in the outdoors, nothing beats the old backpack!